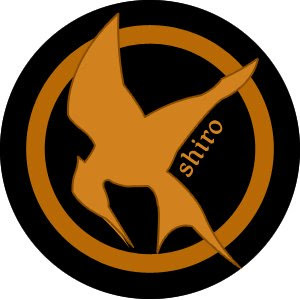 When I was contacted by Shiro Cosmetics, Caitlin not only sent me shadows from the Pokemon Collection and Zelda Collection but she also finished off my Hunger Games Collection. So now I have the entire collection to review for you guys! To see part one click here. Also a quick note: I have started to watermark my photos because this week two of my photos got stolen by two different people and I am getting very irritated and sick of it. I know watermarking won't help too much but it is better than nothing. If you guys see my photos posted somewhere by someone other than me, let me know so I can deal with it. Please & Thank you. Unforgettable and Wildflowers are stunning! And a watermark might help for some people to not steal and claim, so thats a good thing! p.s. I'm having a $50 giveaway from Fox House if you'd like to check it out! Wow, you should be proud to have them in your possesion!! They all look great but i really wonder how that bakers boy look like irl! !